Eggplants were one of those foods I despised as a child. My face twisted in disgust when I saw that my parents had ordered them at a restaurant, they looked like fat worms slouched over each other, lurking in a dish smothered in some sort of gooey sauce. I hated their weird silky texture and imagined how easily they could slip down my throat, latch onto my esophagus and multiply by the dozens. Ugh. I begged my parents not to scoop any for me (along with onions and cooked carrots, my other childhood food aversions). Then as I grew older, I started to enjoy the purple vegetable. I don’t exactly remember the turning point, but suddenly stopped dreading the sight of them when we dined out. I actually liked their slipperiness, how they slithered in my mouth bursting with a salty, chili sauce riddled with ground pork. That’s still my favourite way to eat them, especially with a bowl of rice soak up all the garlicky sauce. 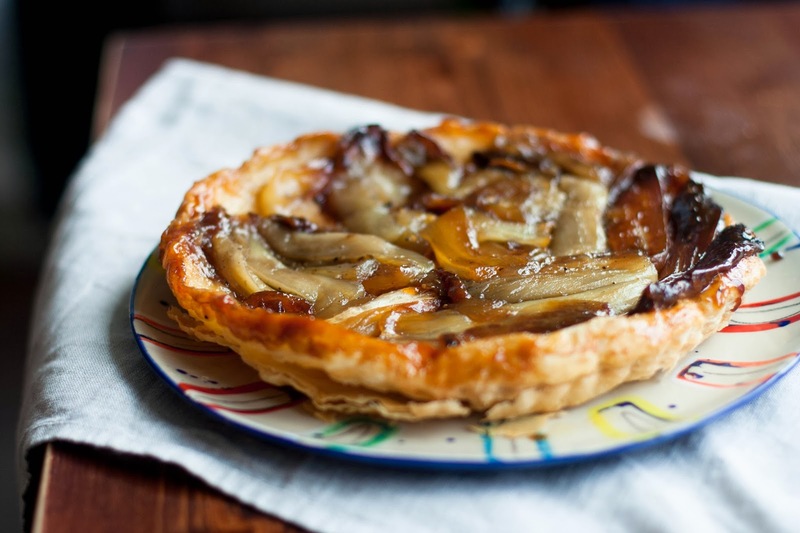 I’ve never had them in a sweet dish and I think we can agree, eggplant rarely comes in a dessert form, but thanks to my friend Claudia who sent me this recipe, here we are with eggplant tarte tatin. Does that sound heavenly? It tastes awesome by the way. The vegetable is shredded then sliced into thick matchsticks, boiled with butter and sugar until golden. The eggplant turns into luxurious pieces, reminding me of ripe pears but still retaining that familiar peppery bite. Blackened bits of eggplant clung to edges of the tart, which I picked at uncontrollably. 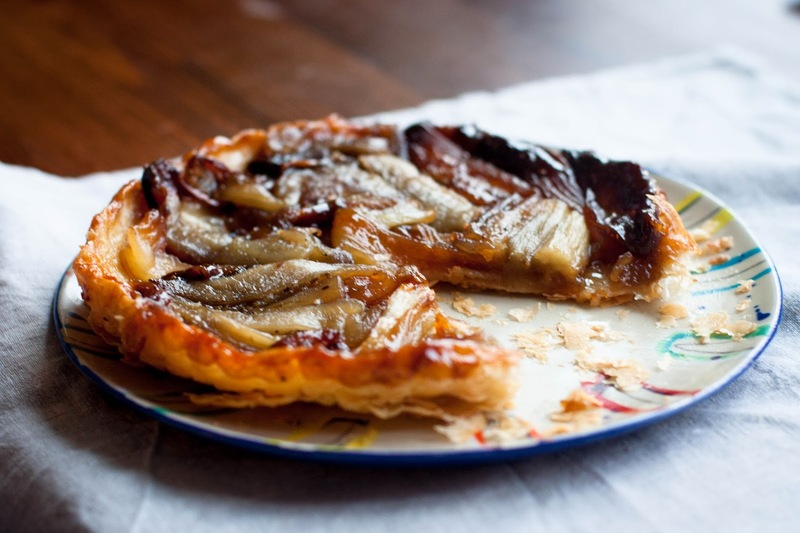 The puff pastry is a superb vehicle for holding the eggplant candy (Ha! Never thought I’d use those words together) and besides, everyone loves flaky crusts. Who would have thought caramelizing vegetables, let alone the humble eggplant, would transform it into a toffee-like substance? These could totally count as your serving of daily vegetables. The original recipe has you cook and bake everything in a cast-iron skillet which makes this tarte easier to deal with, however, I don't own a skillet and substituted with a medium non-stick frying pan instead to cook the eggplant. It worked out fine. When the caramel was ready, I tilted the eggplant and caramel mixture from the frying pan into a round cake pan and continued the recipe as written. You can do the same. I dialed down the butter and sugar from the original recipe and still enjoyed the tart. 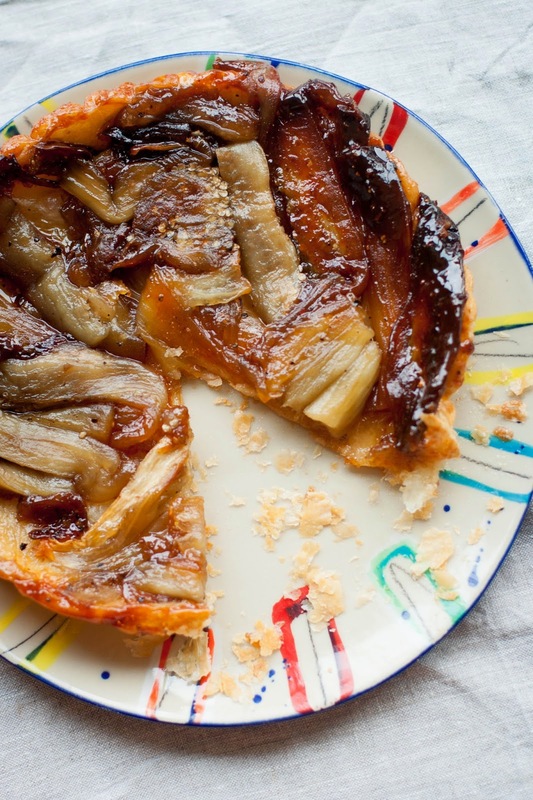 The original recipe also suggests serving this tart with vanilla ice cream. I love it just on its own. Preheat oven to 425°F with rack in middle. Roll out pastry sheet into a 12-inch square on a floured work surface with a rolling pin. Brush off excess flour. Cut out a 10-inch round with a sharp knife, using a plate as a guide. Transfer pastry round to a baking sheet and chill. 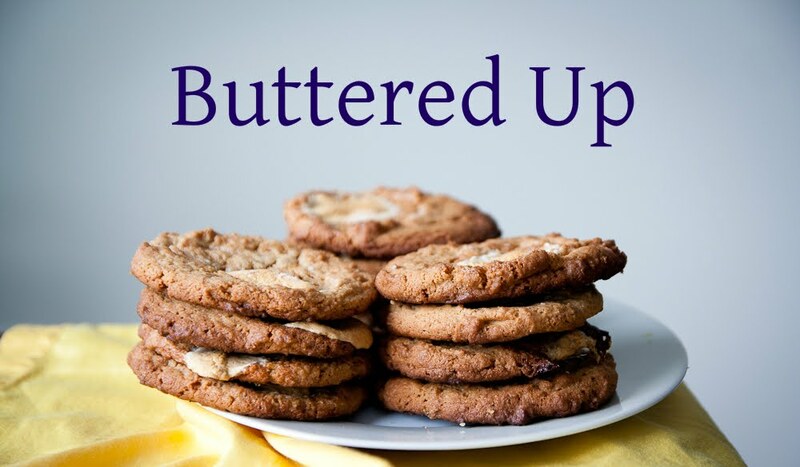 Spread butter thickly on bottom and sides of a 12-inch heavy skillet or medium non-stick frying pan. Sprinkle sugar, salt, and pepper evenly over bottom. Arrange as many pieces of eggplant as will fit vertically in skillet, packing them tightly in concentric circles. Cook eggplant over medium heat, undisturbed, until sugar melts and caramel is deep golden, about 20 minutes (caramel may not color evenly). Place skillet in oven and bake 20 minutes. Remove from oven and lay pastry round over eggplant inside skillet. Bake until pastry is browned and puffed, about 25 minutes. Transfer skillet to a rack and cool 5 to 10 minutes. Invert a plate over skillet and invert tart onto plate. Replace any pieces of eggplant that stick to skillet and brush any excess caramel from skillet over eggplant.